I have never been a fan of Hemingway's writing, preferring the movie versions of his novels instead. I know that makes me illiterate in the eyes of some, but let's face it, his best work was his shortest one, "The Old Man and the Sea." In my opinion, Hemingway was best when he was brief. But that's just my opinion. Obviously, many people the world over revere his works as modern "classics." 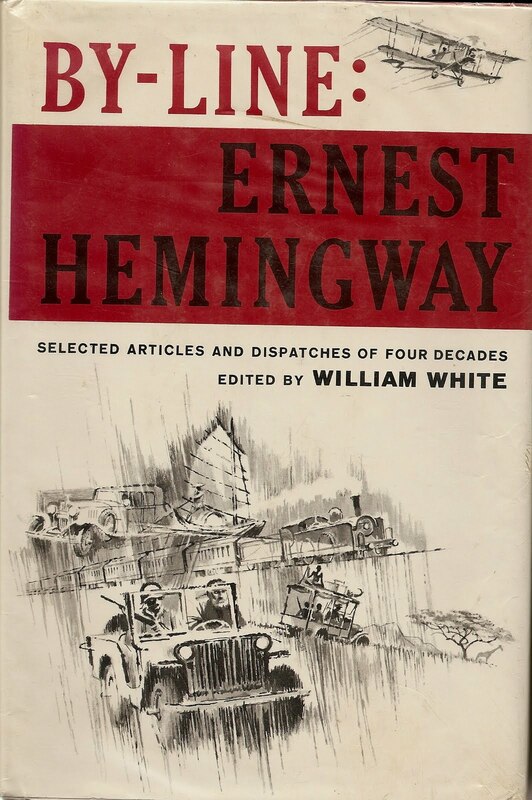 But here is a book, compiled and edited by William White, which contain some of the earlier writings of Ernest Hemingway, and they are truly delightful. The first section is composed mainly of his columns in the Toronto Star Weekly from the early 1920's. These are gems. Take the piece titled "Circulating Pictures", which deals with the upper crust women in Toronto who "lease" works of art from the artists, and then exchange them amongst themselves in a mini "art club." This allows the women to appreciate the artwork in their homes, and then return them to the artist at the end of the "lease." The painting has now been viewed and advertised for free by many patrons of the local art scene, which drives up the price. At the expiration of the "lease" period, the work of art is returned to the artist, who then goes on to sell it at 4 times the original price. All of this is done in an effort to keep commercialism out of art. Hemingway's love of fishing is shown in it's earliest stages of reknown while the author is fishing in Canada. His love of the outdoors virtually pours from the 3 page article. There is more substance in some of these short pieces than in any of his later full length novels. The 1920's were the days of Prohibition, and that subject is covered here in a piece called "Plain and Fancy Killings, $400 and Up." It seems that American gangsters were going to Ireland, by way of England, to assassinate local politicians, British Soldiers, or any of the Irish Republican Army members who may have run afoul of someone. A mere $400 paid for killing a soldier, of either side, while for $1,000 you could have a Public Official eliminated. The latter is the better deal, considering that the poor soldier wouldn't have to be there in the first place, were it not for the bungling of Public Officials. The Barber College in Toronto, described so vividly in "A Free Shave", is a brilliant piece of work equal to anything by O. Henry. Barber colleges offered shaves and haircuts for free if you let a student do it. For 10 cents more you could have a senior student do the job instead, with considerably less risk involved. This is a real treasure found in the stacks at the Mooresville Public Library. It was copyrighted in 1951 and then re-released in 1967. The book covers all of the years in between the First and Second World Wars, with stories from Paris, Madrid, Switzerland and even the 1923 earthquake in Japan. That piece is very timely, given the current situation in Japan. The World War Two years are covered in a series of interviews with, and articles by, Mr. Hemingway, which explore every aspect of the war, from it's causes to it's proposed outcome. A wonderful book, with a unique perspective on the history of the times in which it was written, this was an eye opener for me concerning Hemingway as a journalist. 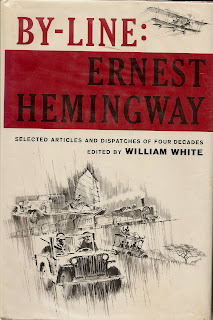 Like O. Henry before him, Mr. Hemingway seems to have done his best work in the short form.